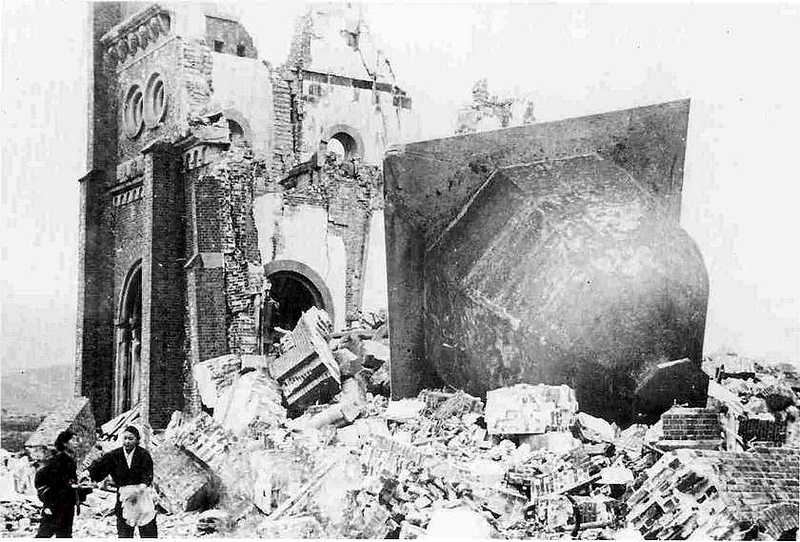 Urakami Tenshudo, formerly the largest cathedral in East Asia, and ground zero of the atomic bombing of Nagasaki. From a talk by Patrick Bateson given at Kings College Chapel some 30 years ago. The insight to deep human wisdom and indeed life – is the power of cooperation. He begins his talk thus I am disturbed by the way we have created a social environment in which so much emphasis is laid on competition – on forging ahead while trampling on others. The ideal of social cooperation has come to be treated as high-sounding flabbiness, while individual selfishness is regarded as the natural and sole basis for a realistic approach to life. The image of the struggle for existence lies at the back of it, seriously distorting the view we have of ourselves and wrecking mutual trust. At the turn of the 20th century an exiled Russian aristocrat and anarchist, Peter Kropotkin, wrote a classic book called Mutual Aid. He complained that, in the widespread acceptance of Darwin’s ideas, heavy emphasis had been laid on the cleansing role of social conflict and far too little attention given to the remarkable examples of cooperation. Even now, biological knowledge of symbiosis, reciprocity and mutualism has not yet percolated extensively into public discussions of human social behaviour. ..the appeal to biology is not to the coherent body of scientific thought that does exist but to a confused myth. It is a travesty of Darwinism to suggest that all that matters in social life is conflict. One individual may be more likely to survive because it is better suited to making its way about its environment and not because it is fiercer than others. Individuals may survive better when they join forces with others. By their joint actions they can frequently do things that one individual cannot do. Consequently, those that team up are more likely to survive than those that do not. Above all, social cohesion may become a critical condition for the survival of the society.